Here are a few projects we did from 2005 to 2008. All these windows and doors are still performing very well more than 10 years later. Background: Mr and Mrs S had single glazed timber windows in their house. The window sashes were rotten and did not close properly so they had draft problems. They come to us for a quote to replace the timber windows. They had a tight budget. The Solution: We visited their house and found that while the window sashes were not good the existing timber window frames were all in good condition. The cost effective solution was to insert new PVC-U windows into the existing timber window frames, leaving the existing timber outer frame, facings and sills in place and removing only the mullions, transoms, sashes and glass. No major structural alterations were needed. Mr and Mrs S happily accepted this solution. The existing timber window frames at the bottom were slopped down on the outside so awindow flange was put in under the bottom PVC-U frame to cover up the gap. 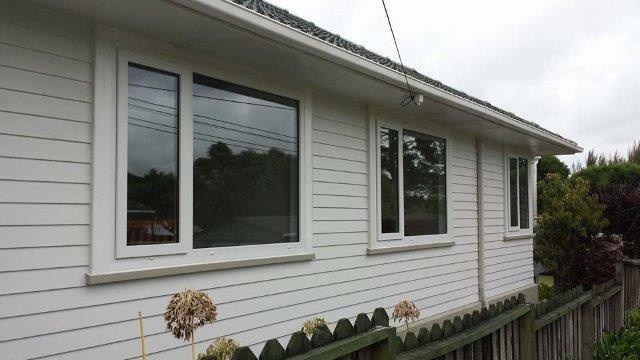 Small gaps between the new PVC-U window frames and existing timber frames were allowed for tolerance. Those gaps were sealed by silicone. This insert replacement solution is very good way to replace timber windows. About 70% of our timber window replacement projects chose insert replacements. Please note that the existing window frames must be in good condition otherwise the timber window frames have to be removed for complete window replacement. For more insert replacement project photos visit Photo Galleries and click “Insert replacement”. 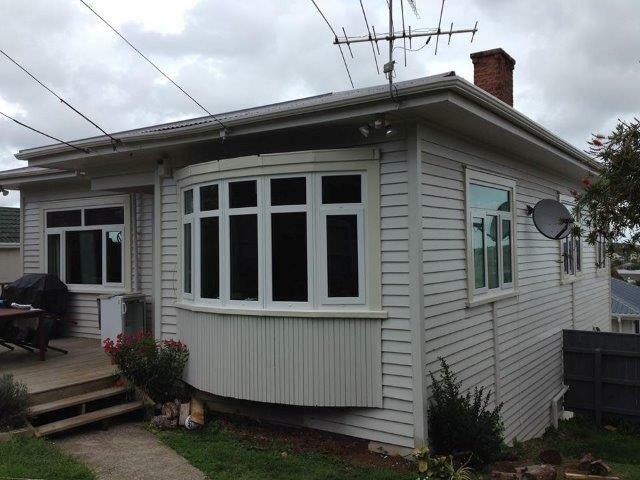 Background: Mr and Mrs W bought a house in Maraetai with large single glazed aluminium windows and doors. The property has a beautiful sea view including a view of Waiheke Island. Mr and Mrs W knew the benefits of PVC-U double glazing. They also wanted big openings to decks and more glass to enjoy the great sea view. The Solution: PVC-U double glazed sliding and stack doors with full height glass and tilt and turn windows were proposed for Mr and Mrs W. They were very happy with our proposal and quotation. After the builders installed the window and door frames into the building structure, we did onsite glazing for all the windows and doors. The window and door replacements were done in 2005. Some of the photos were taken in 2006 after the builders finished other works. After over 10 years of exposure to high UV weather conditions and heavy sea spray, these windows and doors are still work as new, no corrosion, no discoloring, still air-tight and water-tight. For more full replacement project photos visit Photo Galleries and click “Full replacement”. 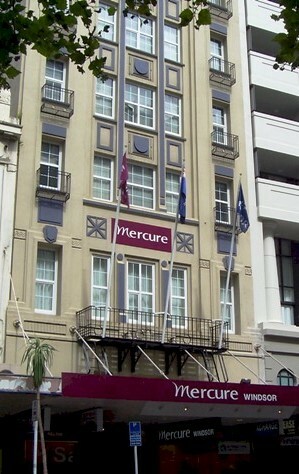 Background: Mercure Windsor hotel is a 9 storey building situated at 48 Queen Street in Auckland CBD. The old steel framed single glazed windows were rusted. Most windows did not close properly. The hotel rooms were noisy and had draft problems. Some windows leaked and maintenance cost was high. Because part of the steel frames were in the concrete wall, it would be difficult to take the steel frames out without damaging the wall around the windows. The hotel ran as usual during the windows replacement process. The new PVC-U windows are all double glazed for the heat and sound insulation benefits. The hotel increased their room rates once the old steel windows in the room were replaced with new PVC-U windows.